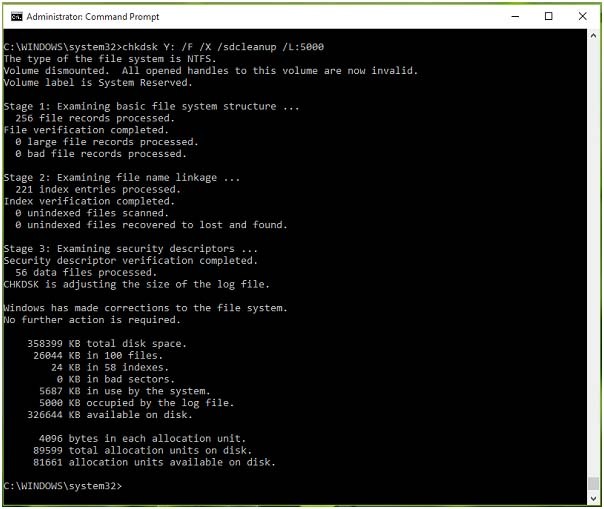 While upgrading your Windows system to Windows 10 sometime an error “This PC can’t run Windows 10 – We couldn’t update the system reserved partition” occur and interrupt the Windows 10 upgrading process. 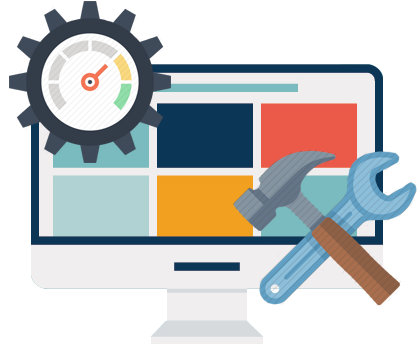 There are lots of other issues that affect the windows upgrading system, all of the Windows 10 upgrade errors and issues are very dangerous and you have to solve them first in order to upgrade to Windows 10 from existing Windows OS. In this blog we will discuss about the “We couldn’t update the system reserved partition” error message, this problem is directly related with System Reserved Partition (SRP). When you install Windows 7 or 8 or 8.1 on a clean disk, the SRP is automatically created. 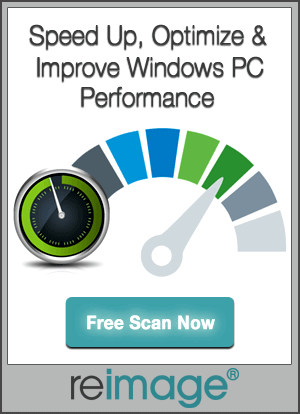 Although Windows 7 installation creates SRP of 100MB, as Windows 8, 8.1 and10 creates SRP of 350MB. We couldn’t update the system reserved partition. Usually, it is suggested that we shouldn’t interfere SRP and leave it as it be. This part of disk is hidden by Windows by default and don’t allocate any drive letter to it. You can only see the SRP via Disk Management utility. Step 1: Press Windows key + R to open run dialogue box, in the box type diskmgmt.msc and hit enter key to open Disk Management. 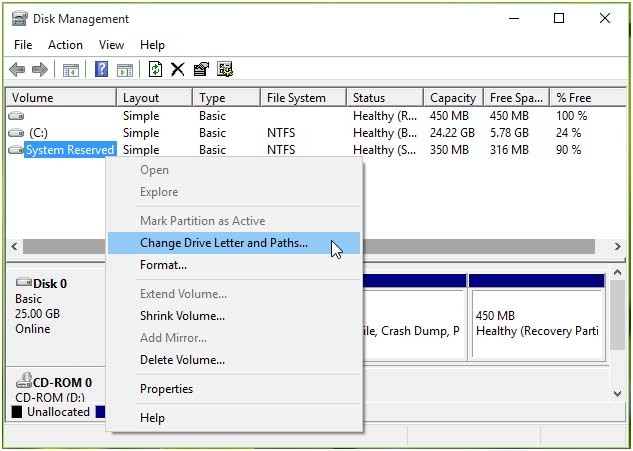 After it, find the System Reserved Partition and right click it, choose Change Drive Letter and Paths option. 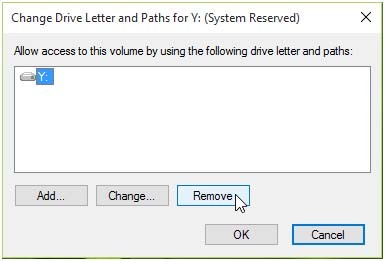 Step 3: In the section of Add Drive Letter or Path, choose Y from drop down men. 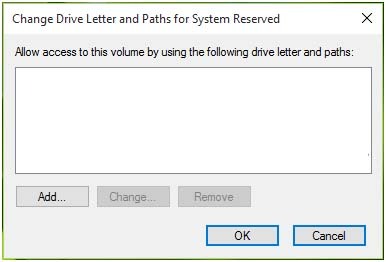 Assign the following drive letteroption. 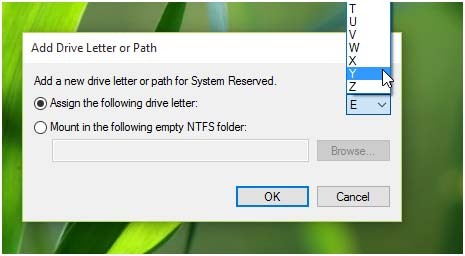 In this method Y is taken as temporary drive letter to SRP and now you can see the partition via File Explorer. After all minimize the Disk Management utility. Hit Enter key to run this command, it will take some time. Hit enter key to execute this command, this command will also take some time to complete. Hit enter key to run. 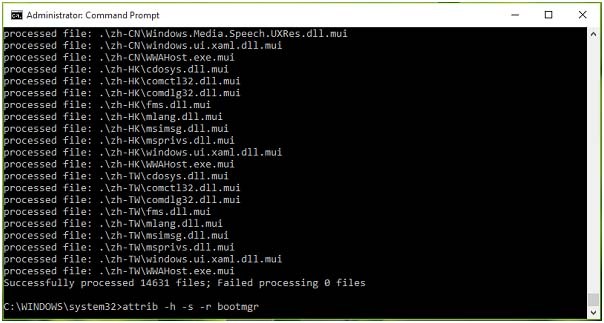 After it close the command prompt. 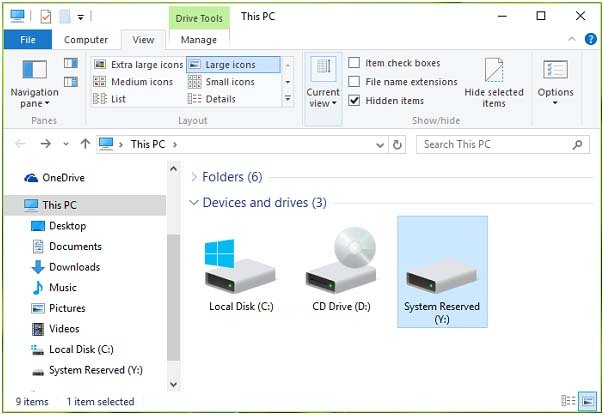 Step 8: Open File explorer (press windows key along with E), find the system reserved partition driver (Y drive). Make sure that you checked hidden items option under view tab of file explorer. After the completion of this operation now try to upgrade your system. At last, click on yes option to confirm.